A changing climate is raising the risk of more frequent and intense storms in Western Washington. But the thousands of culverts around the state that are designed to convey water, and provide fish passage, are often degraded, blocked, or undersized, putting the public at risk. The social, economic, and environmental impacts are many — ranging from flooded homes and roads, to decreased salmon runs and emergency response times. 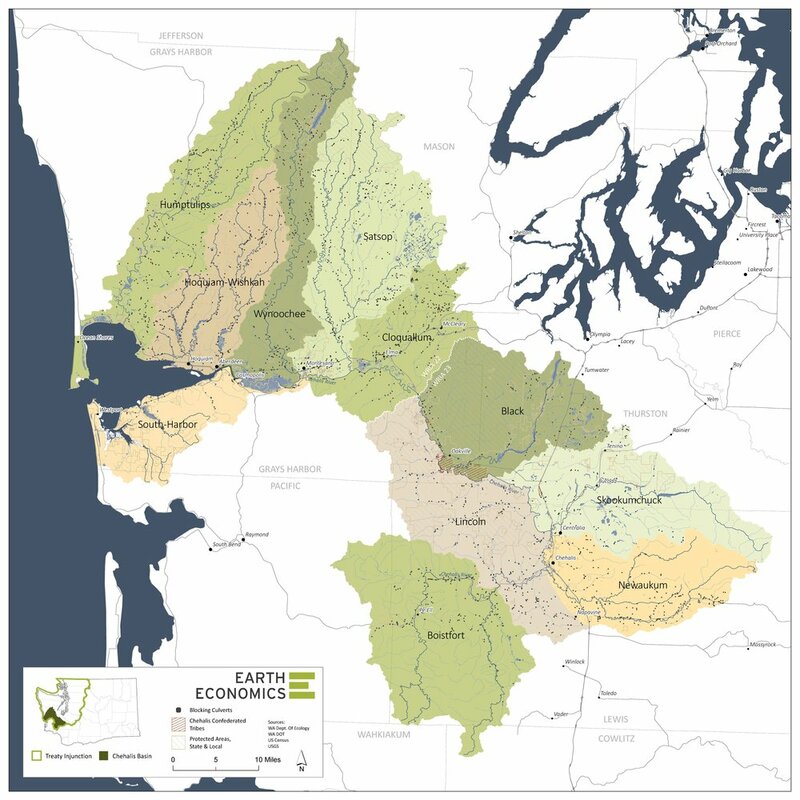 To help quantify such impacts — and ultimately mitigate the natural hazards that cause them — Earth Economics and a diverse array of interested partners formally launched a project this month in the Chehalis Basin. 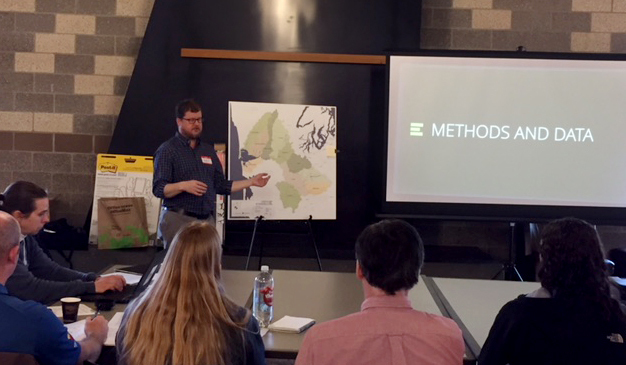 Representatives from nonprofits, tribes, and state and local governments — including the Washington Departments of Ecology and Fish & Wildlife — attended Earth Economics’ April 5 kick-off meeting on the Confederated Tribes of the Chehalis Reservation, southwest of Olympia. Over the next few months, Earth Economics will assess data to identify a range of quantifiable changes that follow from improved road stream-crossings in the Chehalis Basin. For example, in addition to expanding available habitat, replacing culverts has the potential to reduce risk of localized flooding and road washouts. Earth Economics’ work — to be presented in a technical report in late 2019 — will help property owners and other stakeholders within and beyond the Chehalis Basin more fully understand the costs and benefits of replacing at-risk culverts. Earth Economics also will provide stakeholders technical support for one or more applications to the Federal Emergency Management Agency’s Pre-Disaster Mitigation Grant Program. Ken Cousins of Earth Economics, presenting to representatives from nonprofit, tribes, state and local government. Here at Earth Economics, we are focused on providing tailored support to cities, utilities, and environmental justice organizations alike on building the case for, financing, and ensuring equitable prioritization of green infrastructure.